"I'm living in the Box, I'm jumping out to see the world." Have you ever wonder what is the meaning of it ? I think that I'm living within the 4 walls .. don't know how does the outside world look like and after my trip to Phuket I decided that I can't wait to "jump" out to see the world. Can you all guess where are all these places ? NO SECRET that I got addicted with travelling - everyone around me knows that! Because I paid for my own holidays - no one sponsored me or anything! I got to properly plan my financial - on how to maximised my money so that I could travel more places. And people always asked me how come I can travelled so often, my answer to this is very simple. I ALWAYS HUNT FOR THE BEST DEAL, be it air tickets or hotels. And Expedia is one of the website that we always surf to look for the lowest travel deals. After all they are one of the world largest online travel company. 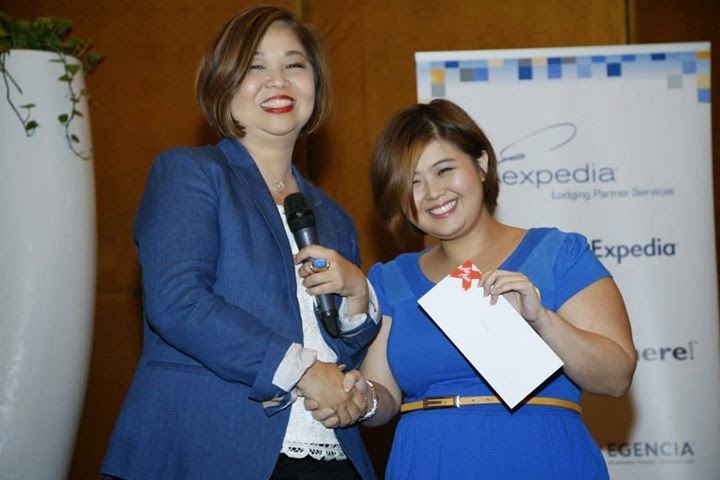 And just few days ago I was at their Expedia Partner Appreciation & Award Event. The event was attended mostly by hotelier and their business partners. And it was interesting to know how our local Kuala Lumpur travel market is as there are few speakers from Expedia who fly in just for the event to share their expertise. Irene Low & Suneet Nigale talk about the current market trend. According to their research, more and more people are owning smartphone hence the mobile apps is the new thing now. And if you don't know yet, Expedia has a mobile apps too! And they shared that just Valentine's Day alone this year, after 10pm there are a big shoot up of hotel booking via Expedia mobile apps. Well mobile apps are great for last minute booking yay! 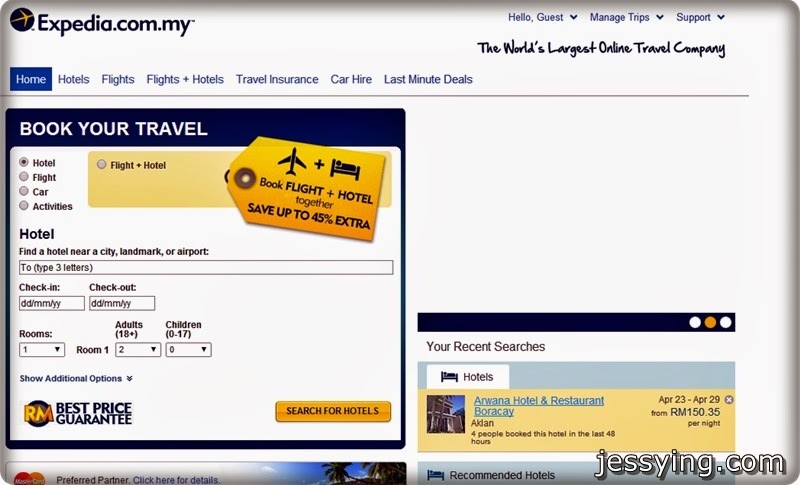 And Expedia runs great marketing promotions all year long,. And like the Thailand Sale, RM353 includes flight & hotel for 3D2N is ...is really a good deal! Oh so many speakers, I enjoy Ms Katheleen Tan, CEO of Airasia Expedia one the most. She gave a very inspiring speech and share how she started her career from pr agency, fashion, music, aviation and end up now in online travel agency. She was one of the pioneer to help Tony Fernandes to build up what is AirAsia today. One amazing lady! And when she was asked to share the secret of success - FOCUS, PRIORITISED and GET A GOOD TEAM of employees to work with you. Besides that she said it's important to GET A LIFE & Enjoy what we are doing. And I would agree on that very much. Life is short and we would not know how we would live, so we should enjoy every moment we had! p/s: You realised Katheleen is AirAsia Expedia CEO ? That's because it's a joint venture company between Expedia Inc and AirAsia. AirAsiaExpedia oversees both Expedia and AirAsiaGo businesses across Asia Pacific. And because of her work nature, she travels so much. And I have been folllowing her on twitter (@Empressrox) and instagram (@katheleentan) for quite some time.. and busy stalking her pictures. And being a social media influencer herself as she he has 300,000 followers, she said social media change today's market. And some hotels which she has stayed has gained some booking after they are being shared/promote on her instagram. And I was extremely lucky that day..because before the event start we are told that they are 6 lucky envelopes under the chair in the hall and I so happened to be sitting on the lucky chair to won 3d2n stay in Tristle Hotel JB. 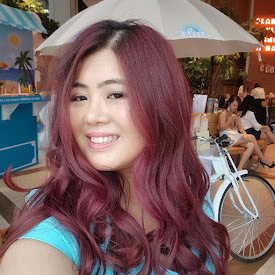 My luck does not stop there, when there is a Q&A session to win the grand prize (i.e a pair of tickets to Perth, Australia) I managed to answer how many followers Katheleen Tan has in Weibo ! How do I know ? Google lah....it is 283k of followers! Must be the yellow power lah - cos Digi & Expedia also in yellow colour! Just before the event ends, Expedia announced "Oscars" Award to give recognition to their hotel partners. We also had a photo opportunity with Katheleen Tan & a few others bloggers who attended the event. Can you see how happy am I ? Well I was asked by the photographer to pose a happy picture because I won two prizes! Expedia was pretty generous and there are many others prizes to be given away as well and some of our friends managed to win that too! Congratulation to them too! Where in the World Should I be right now ? Anywhere - as long as I have not been there! Looking at the dates, this is the best time to go to Japan to see cherry blossom! But this year I'm not going since I have been there twice. I already had 3 holidays confirmed this year after I grabbed AA cheap air tickets during their promotion. And next week would be flying to Bangkok for a short holiday before my beach holiday in Boracay end of the month! At the later of the year, am going Myanmar with my friends. And all thanks to Expedia... am going to Perth too! Not forgetting Tristle JB hotel voucher too! Follow me on my instagram ( @jessyings ) or Facebook to see my travelling pictures ! Definitely would be looking at Expedia website to hunt for good hotel deals. Life is short guys, see the world!